For our midterm Ridwan and I thought it would be really funny to make a machine that claims to give a high five but actually fakes you out every time. 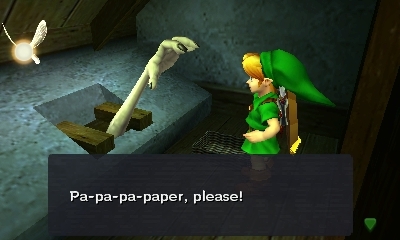 Aesthetically it reminds me a bit of the toilet hand from Zelda. Inside it has an arduino, two metal gear servos on a pan/tilt bracket meant for camera tracking controlling the hand, an HC- SR04 distance sensor, and an LCD screen. Ridwan found a box template for a laser cutter and we laser cut the enclosure out of cardboard, making the necessary modifications for our sensor, hand, and screen. We had quite a bit of trouble with powering servos and actually destroyed two servos by putting too high a voltage across them.